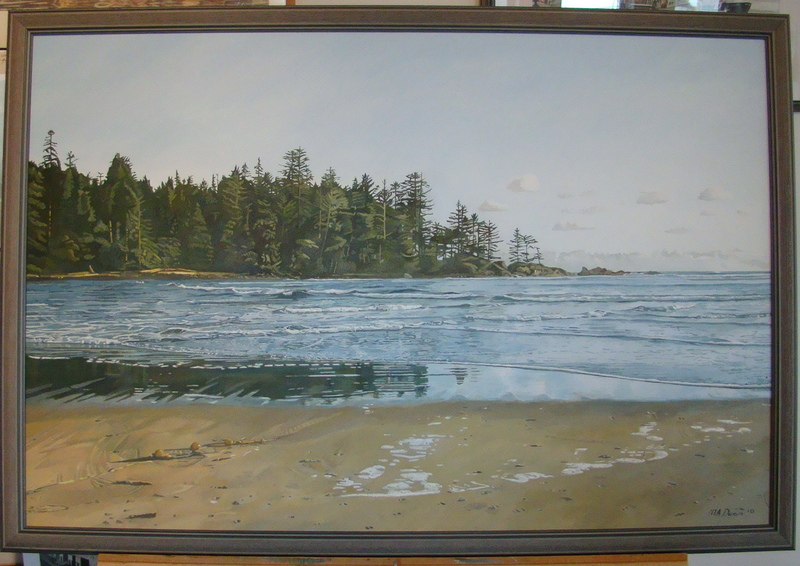 A showcase of art that is currently for sale. 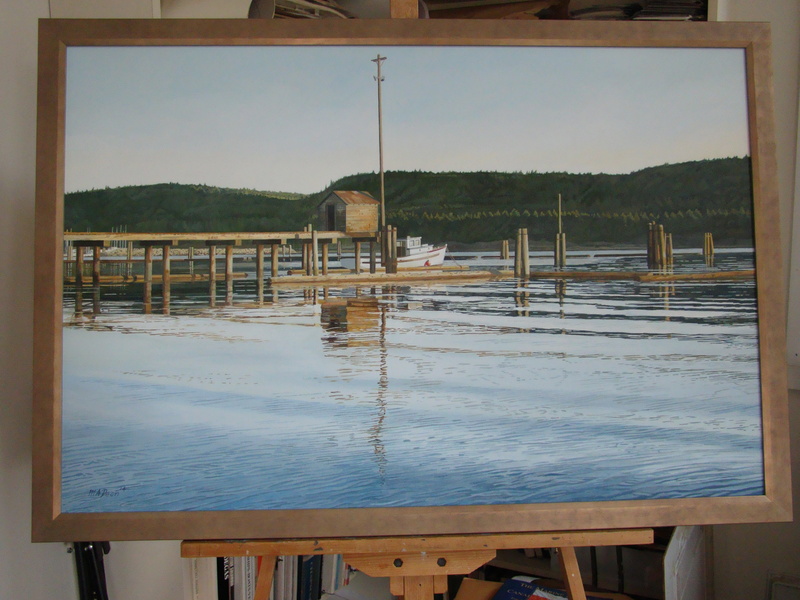 To inquire, please get in touch via email. 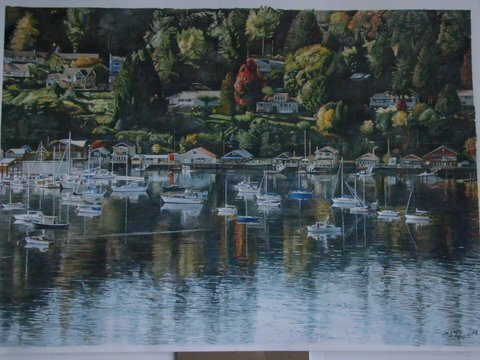 Your artwork is so beautiful!!! 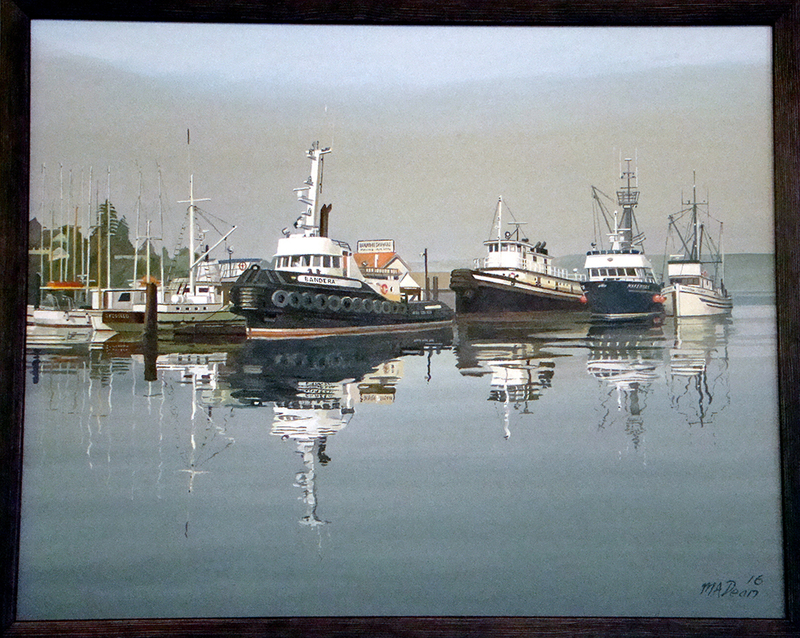 I will have to save up and buy one of your Ocean Falls works as I lived there in the 60’s. 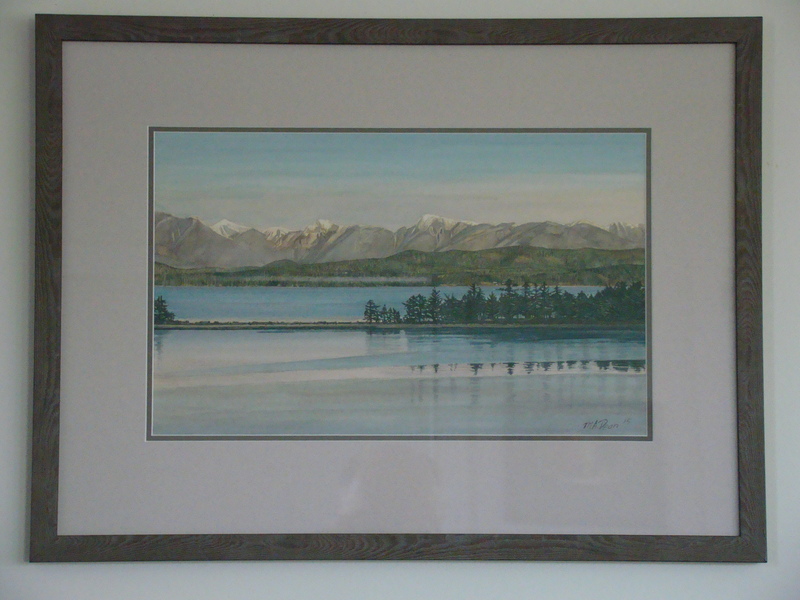 My late brother had two or your drawings in his home in Courtenay. 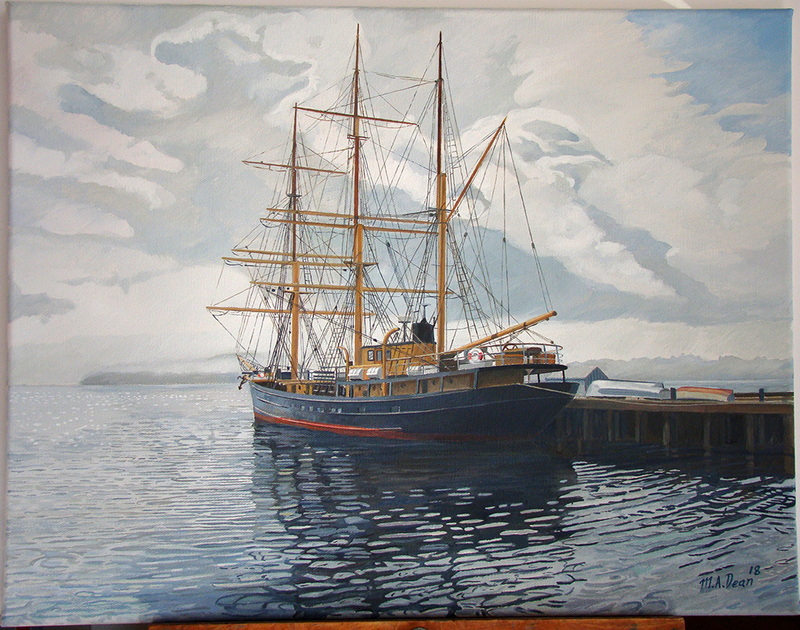 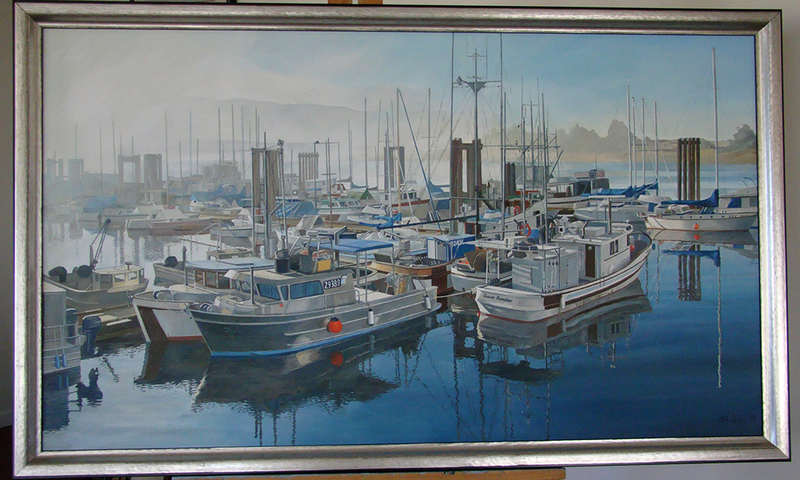 Thank you to my wife for the stunning “Ladysmith Maritime Society Dock”! 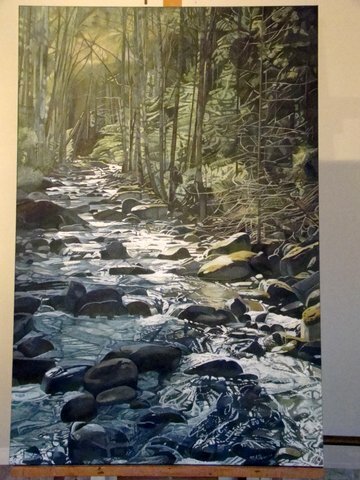 What a gorgeous work! 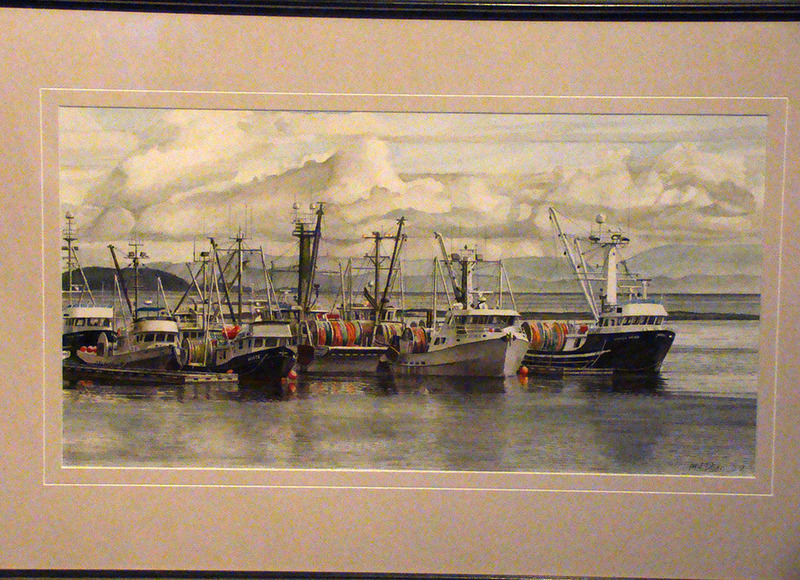 Don McClintock. 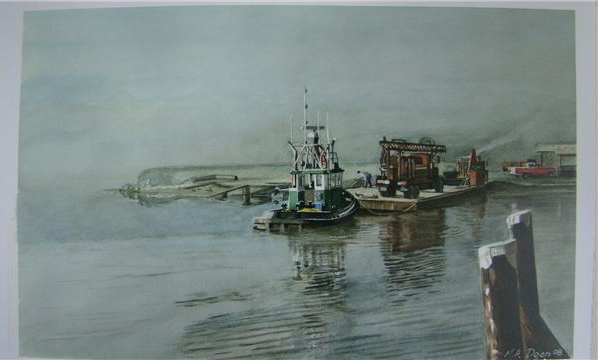 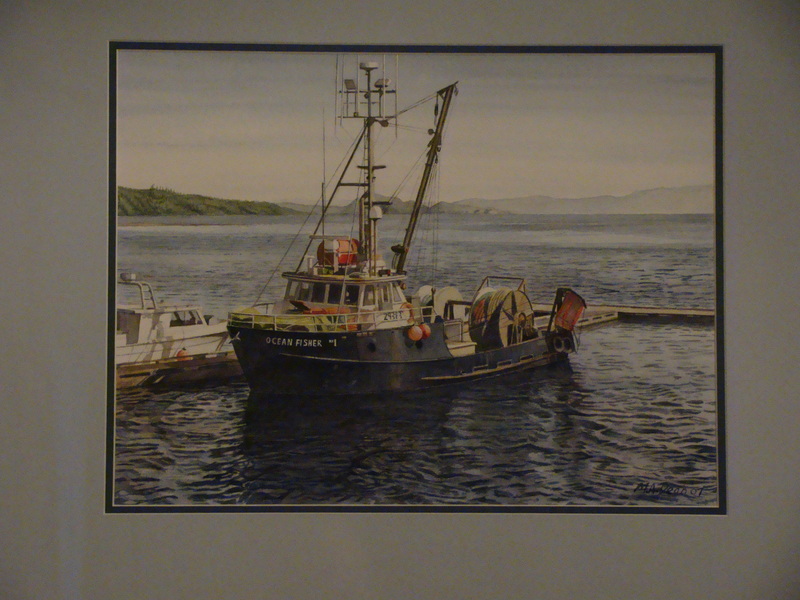 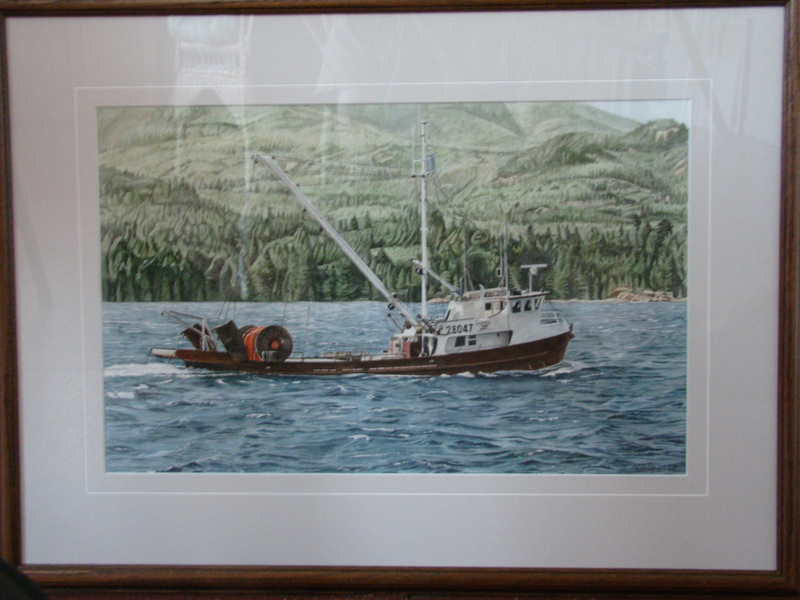 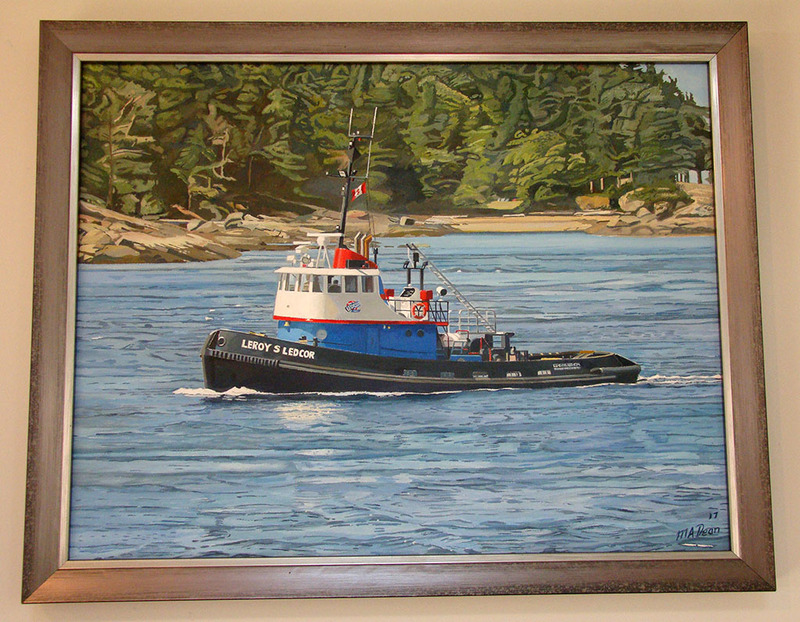 I found a beautiful painting or drawing of a fishing boat, EASTVIEW signed M.A.Dean.81. 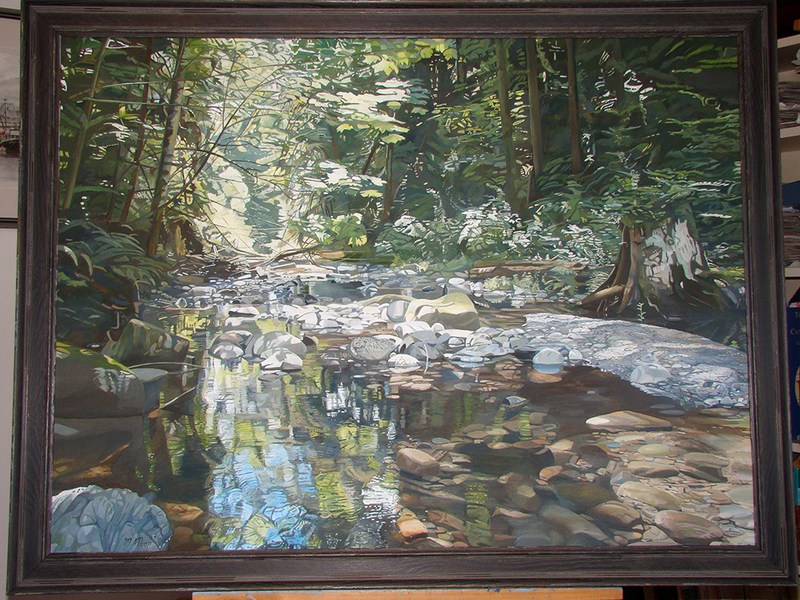 Just wondering if it’s yours? 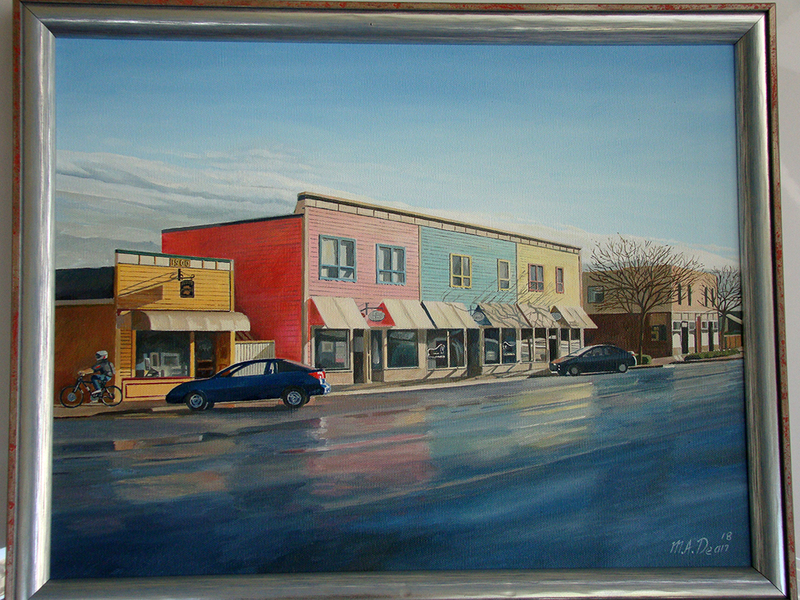 Hi Deb Yes the Eastview is one of mine. 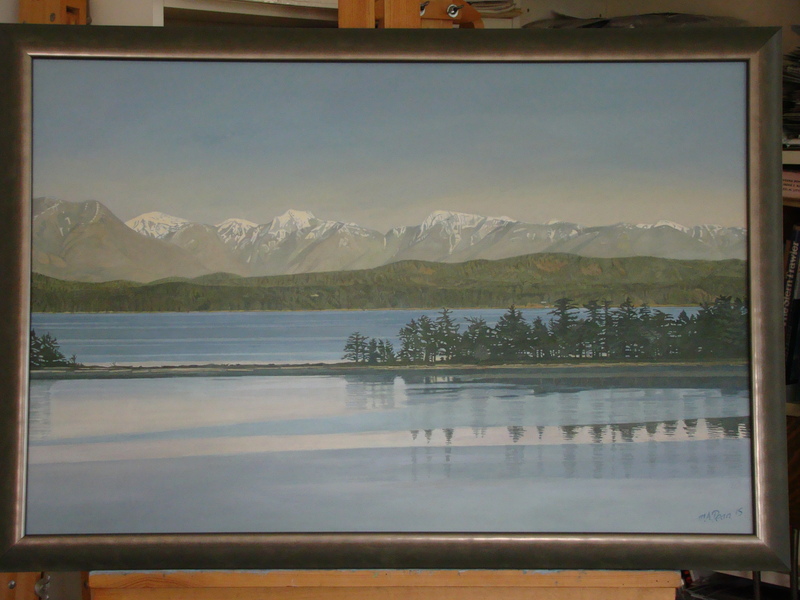 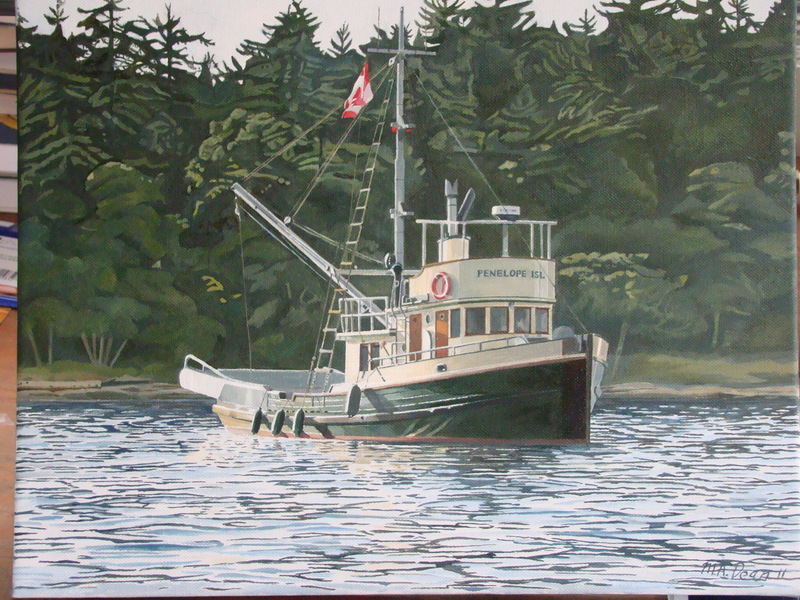 I drew the original for the Port Alberni Harbour Commission. 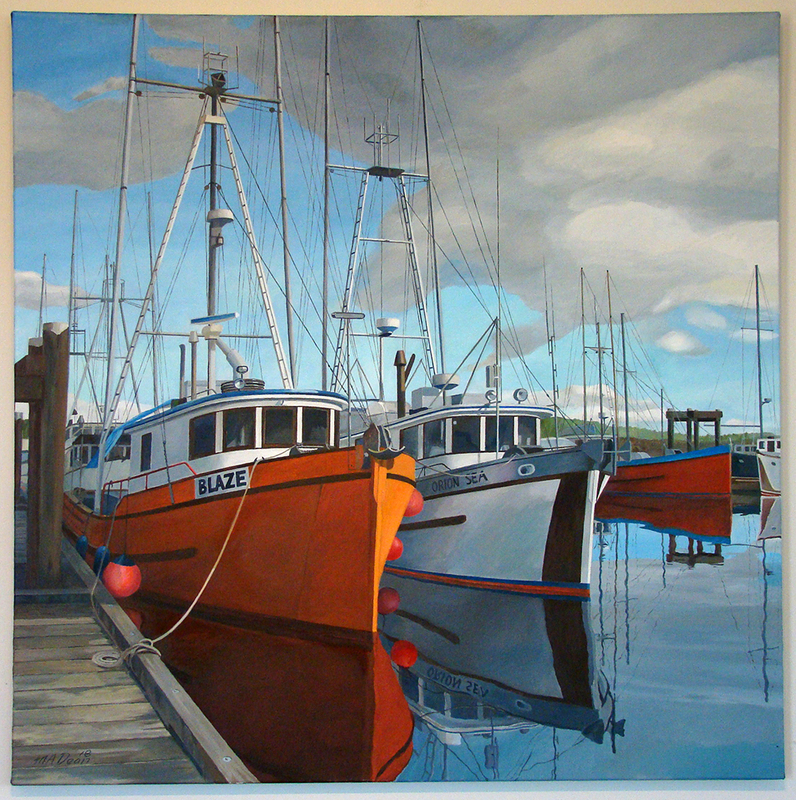 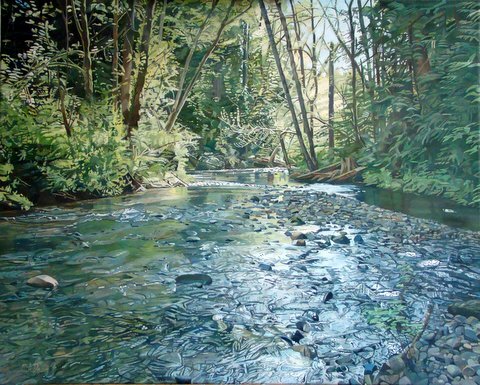 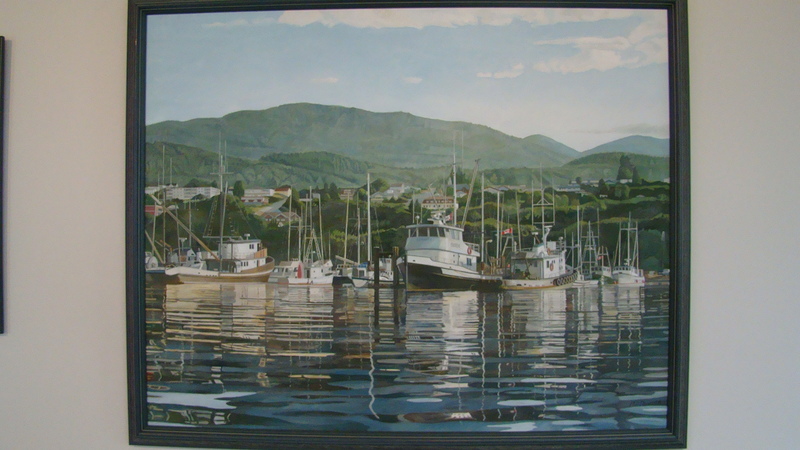 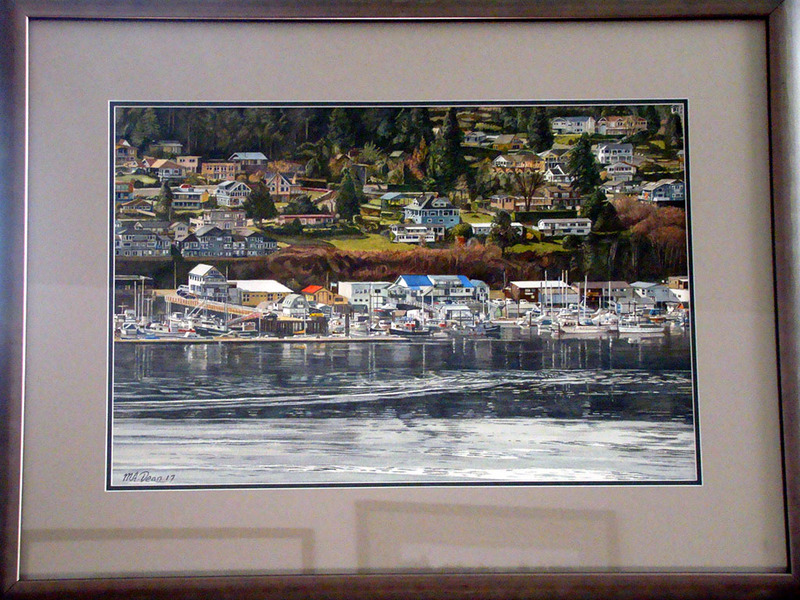 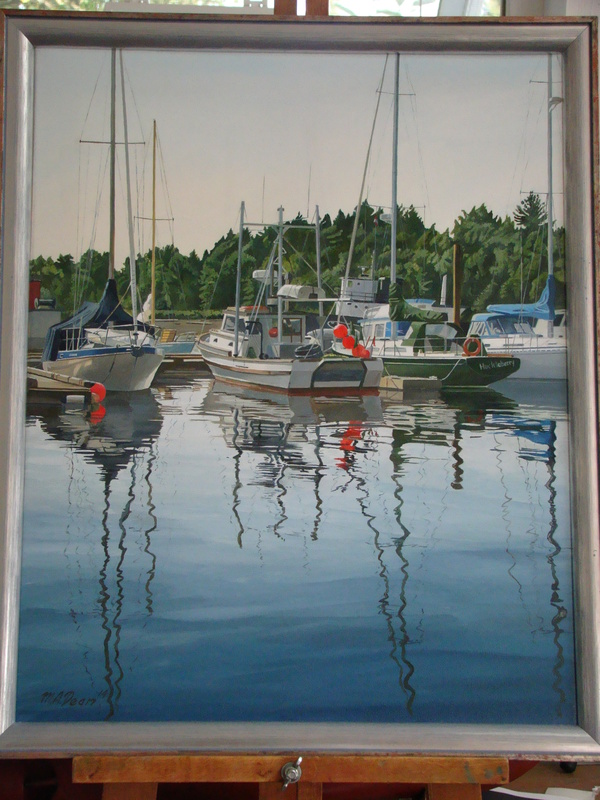 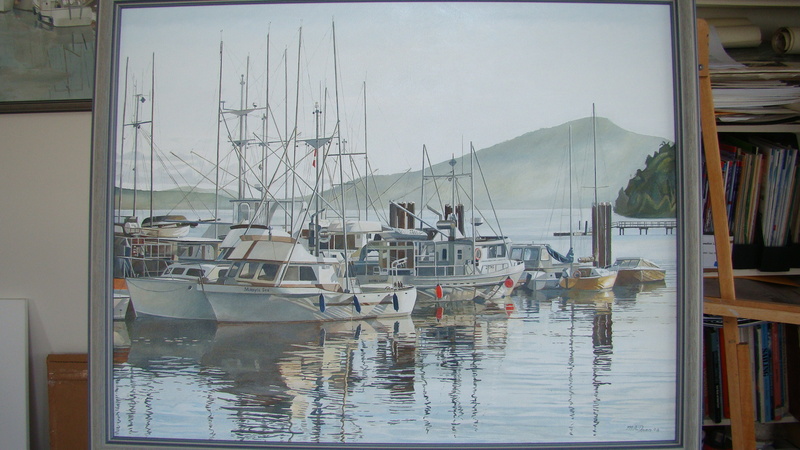 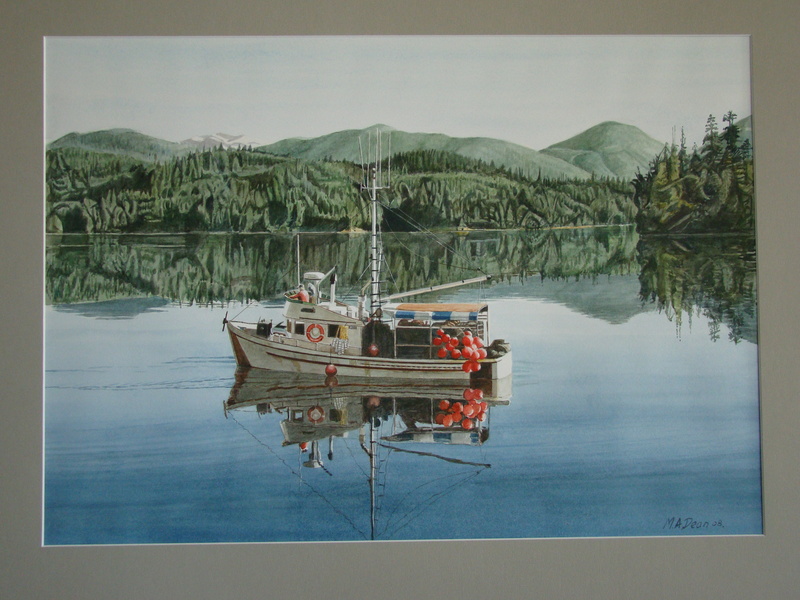 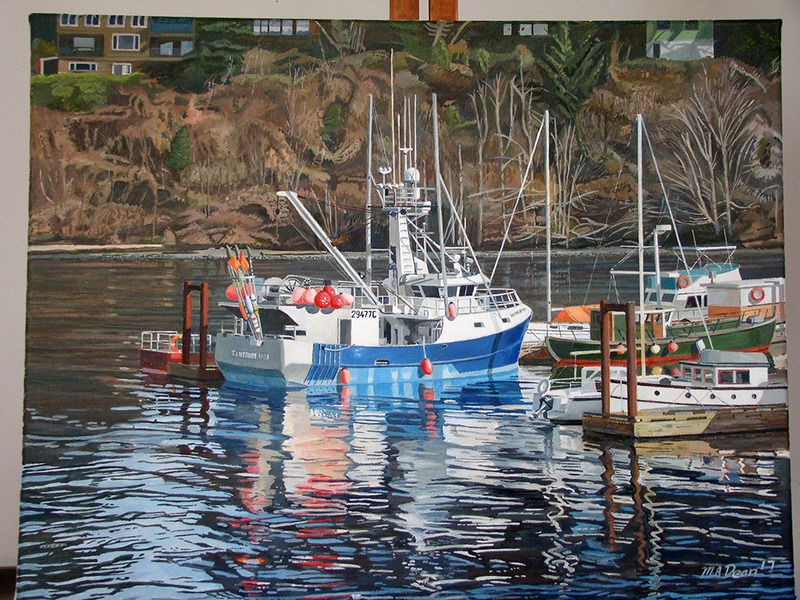 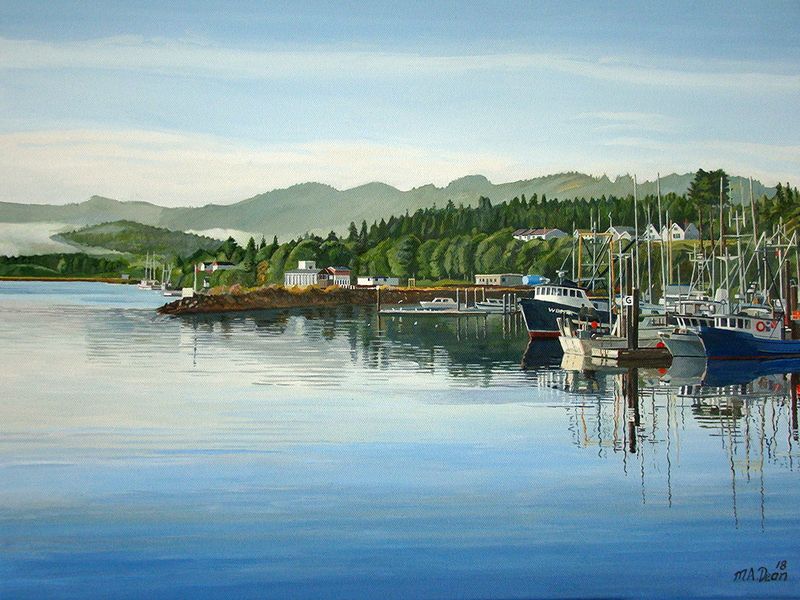 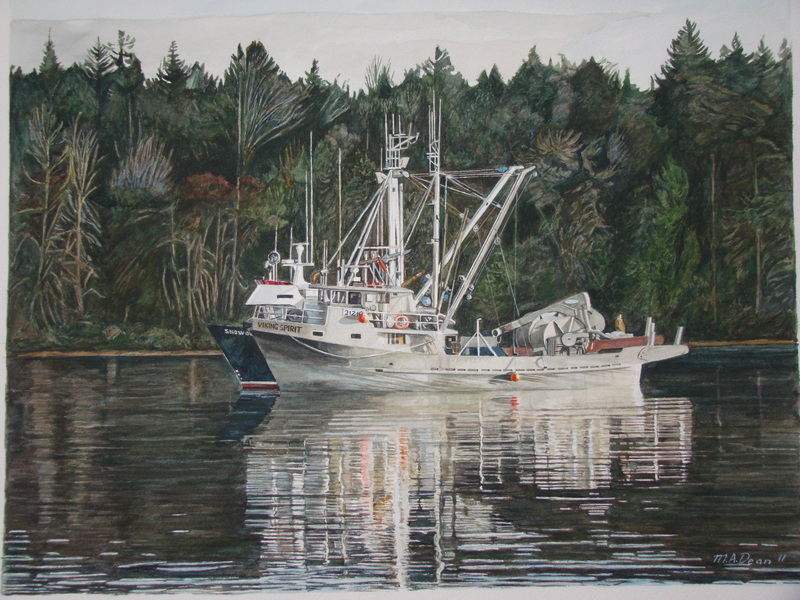 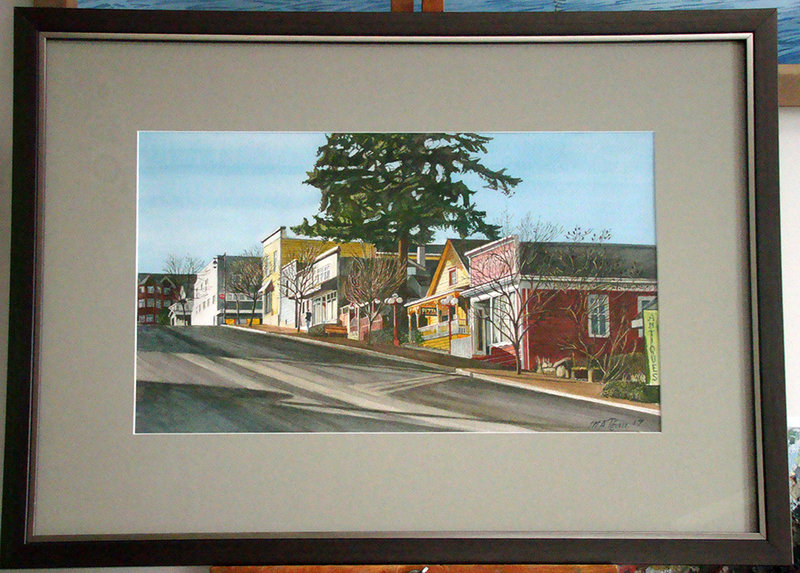 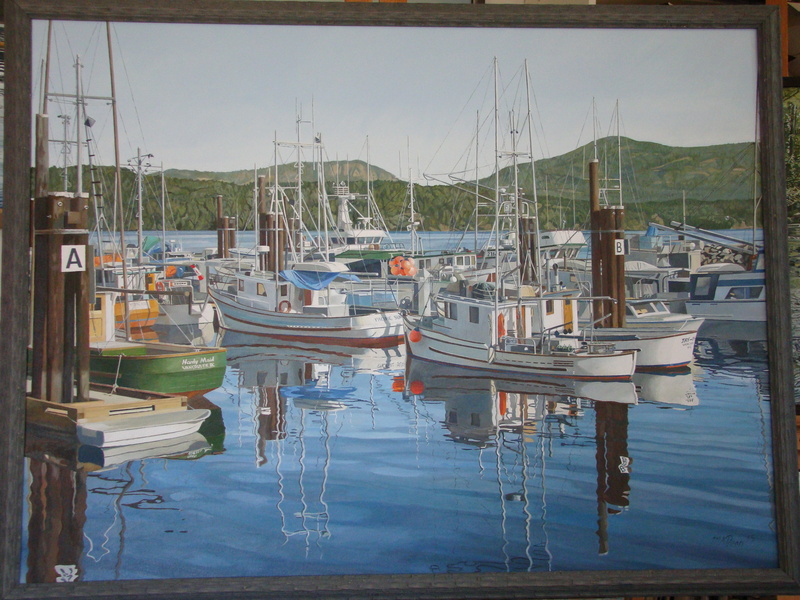 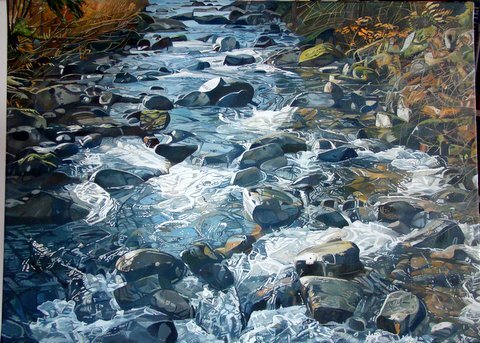 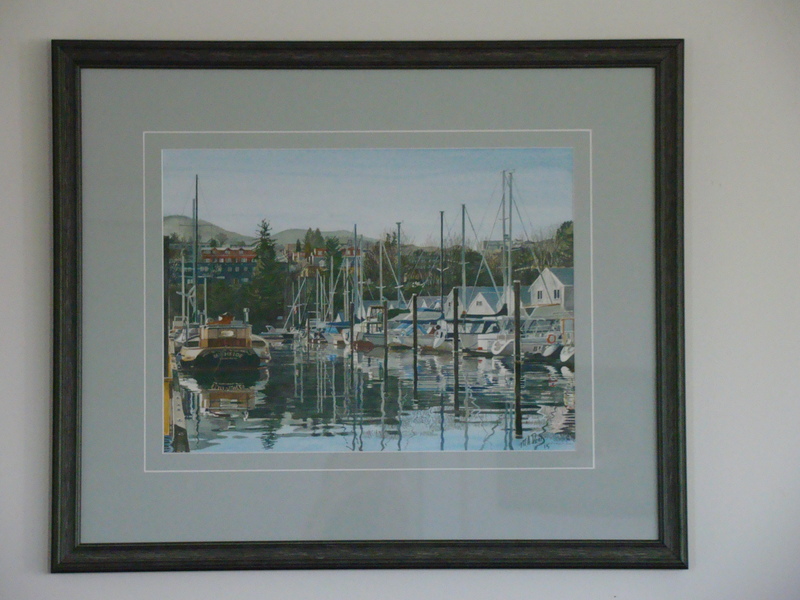 Way back then I did quite number of drawings for them, various waterfront scenes around Port Alberni.